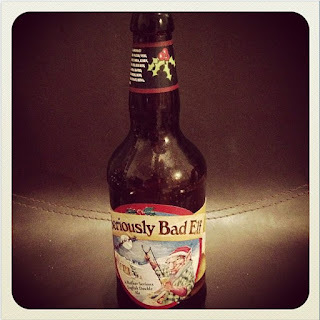 The Genuine Beer Blog: Seriously Bad Elf !!! 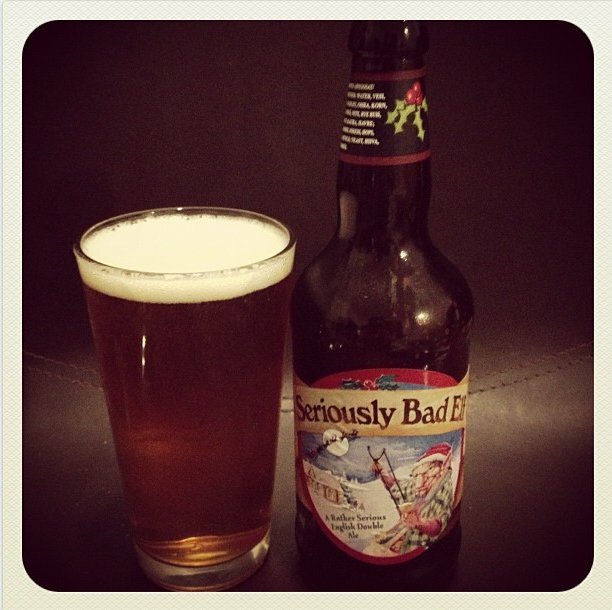 Hey Everyone, Today we have the next beer in line in the 12 beers of Christmas countdown. This Beer is an absolute cracker so I hope you enjoy !!! 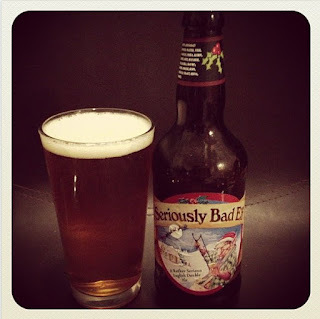 Seriously Bad Elf is a seriously interesting beer. This beer has really deep, full bodied flavours, one of which is a spiced note, that gives this beer the winter, Christmas beer characteristics. This is a smooth beer with little carbonation and an all round nice feel on the tongue. This beer is a real surprise as it is remarkably well balanced for such a high ABV% beer. Seriously Bad Elf is not over spiced or overwhelming in spicing and is also not overpowering in alcohol taste in anyway. This is surprising for a beer that is 9% ABV as you would expect this will mean that the beer tastes really boozy, but this one doesn't. This is also a rich, moreish beer that will leave you wanting to go back for more and more with every sip. Seriously Bad Elf is an extremely palatable beer, that is extremely festive in feel and taste. This is an outstanding Christmas beer and one that I would seriously recommend to anyone out there that would like to taste what a real Christmas beer can taste like. I very rarely give a beer 5/5 unless it shows me something outstanding, something that makes it stand out from the crowd, this beer seriously does that for me and that is why I awarded it the score. I would really recommend giving this beer a try I promise you won't be disappointed, Congratulations to Ridgeway Brewing for creating this amazing beer.